If you missed Day Three, you can check it out here. Or, you can start at Day One. The week so far has been a collection of great bite sized portions, so coming into the weekend I'm looking forward to some extended game time with this expansion. I've already experienced the majority of what's on offer, so now I'm left with the task of getting my character ready for raiding. The recommended level is 365 for easy mode, and I'm currently sitting at 345. Jumping on after work, Wild-Kit and I decide to get through the exotic quests that will give us the much-hyped Gjallarhorn, and the Khvostov; a gun that has been tearing me apart in Crucible. Once we've collected a number of pieces to the Gjallarhorn, we're sent on a mission to retrieve documents from the Bannerfall tower. The level is a repurposed map of the same name from the Crucible, but devoid of players it fits the narrative well. Returning to areas for new missions and story is a staple of Destiny and helps flesh out the Bannerfall zone with some fun lore. The level culminates in waves of Fallen showing up, and we're still without our epic rocket launcher to take care of things. 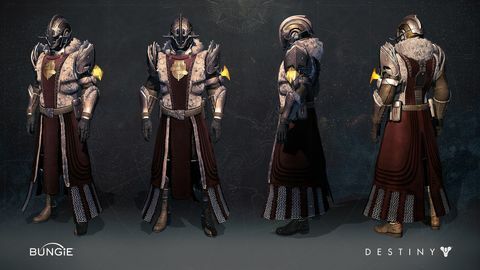 Heading back to Tyra Karn in the Iron Temple, she sends us to the Cosmodrome for one last mission: assembling the Gjallarhorn. Upon arrival, it becomes clear that the theme for this quest line is horde mode, as more and more Fallen swarm over us as our Ghost puts the rocket launcher together. Once completed, we're tasked with blowing up some Fallen Tanks. I had the original Gjallarhorn for a small amount of time in Year One before the weapon was nerfed, and coming into Year Three, it still lacks that original 'holy sh*t' sensation when you see it detonate on a target. The handling, sound, and animations are still truly satisfying, but the weapon lacks the health-melting specs that made it a must-have for raids. But it's probably for the best, given how Year One Gjallarhorn made raid bosses completely trivial. Taking a stroll down memory lane, we next set our sites on the Khvostov – an exotic auto rifle modelled after the very first gun you pick up in the game. Bungie have certainly laid the nostalgia on thick in these missions, but I'm loving it. Traversing old areas, collecting schematics, and reflecting on everything I've accomplished with my ghost... the feels are real. 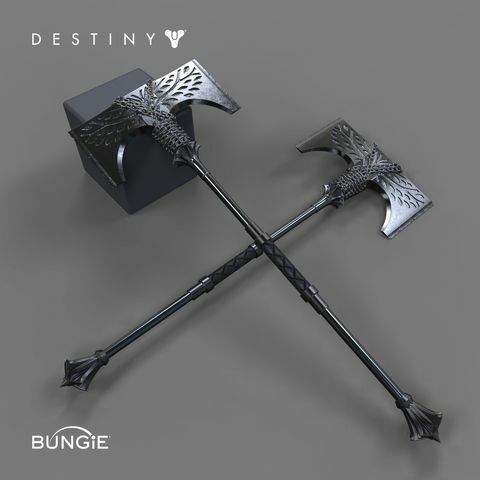 With an arsenal of new exotic weapons, we team up with AeisNyte for the rest of the night. A playlist of Strikes keeps us occupied as we chill and hang out, slowly ticking boxes in our Records Book. 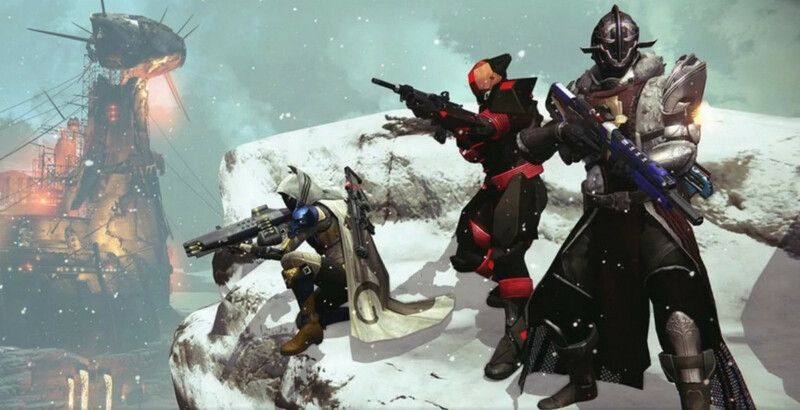 Waking up Saturday morning, the internet is abuzz with the launch of the new raid, Wrath of the Machine. ...and two hours later Bungie confirmed the world first completion. My clan is still taking its time getting raid-ready, so we take the news in our stride and continue playing through the rest of the content, slowing increasing our light level. Without realising it, we've spent at least an hour hunting for SIVA clusters throughout the Cosmodrome. After finding all we can without using a guide, we head back to the Iron Temple and start working our way to the summit of the social space's jump puzzle. When Guardians are in any of the game's social spaces (The Tower, Reef, and now The Iron Temple) all abilities are suppressed, meaning players can't throw grenades, use melee etc. Of course, one of those abilities is the double/triple jump, boost, or glide, so putting a jump puzzle in a social space is both fun and cruel. We've missed the initial rush of people attempting the jump puzzle, so we're mostly alone as we work our way up the mountain, feeble jump after feeble jump. This thing goes on forever, and there have been some real nail-biting moments, but around 3/4s of the way up I miss a jump, fall to my death, and spawn right at the beginning. I'm done for the time being. Wild-Kit keeps going for a time, but also takes the tumble, and we decide to move on. The rest of the night is a blur of more strikes. After going to bed at 3am, I'm wakened at some ungodly hour (I think it was 11am... daylight savings is the worst) and pulled online by Kit in order to partake in some Archon's Forge with the clan. This is the first real time we've hung out since Rise of Iron went live, and it's good to catch up with everyone. After assembling everyone in the Forge, we set about destroying countless Fallen waves. Already it's clear how much we've improved since our first encounter with the Forge, as the highest level of encounter is no longer driving us into the corners to hide, but the overall encounters lack any depth or nuance. Enemies roll in, they die, boss shows up, you kill it. You might get loot, you might not. What adds to the frustration of the Forge is that offerings that initiate the encounters don't stack. Not only are you forced to carry a single offering, but you can't carry different variations either. If you pick up a Fused SIVA Offering (green), you can't pick up an Enhanced (blue) or Perfected (purple) offering without destroying the one you're carrying. For a clan that loved to take a couple of hours to run Court of Oryx, the item management for SIVA offerings is incredibly frustrating. We burnt through all our offerings pretty quickly, and didn't come across any satisfying encounters or rewards. I really hope Bungie adjusts this to allow for a better experience. Heading back to The Plaguelands, I already feel far more familiar with the zone than I did two days ago, and even more familiar than The Taken King's Dreadnaught, which I had an entire year to get acquainted with. After wrapping up a few patrols, I jumped into a strike playlist, hoping to increase my Light level. After hours of strikes, I'm now 351. Now that I'm over the 350 threshold, I'm hoping the increase will be less of an uphill battle. I'm still a ways off from raiding, but all in all this feels like a good point to wrap this little journal up. This expansion is best experienced in bite sized portions. Anything beyond that, and you're left doing the same things over and over. 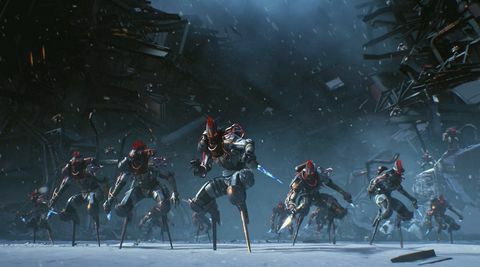 It's not a new concept for Destiny, and one that the developers don't refute – they've stated the game was designed as a kind of 'hangout' or activity that isn't too distracting from the social experience. I've still got some long-term objectives to tide me over, but I hope there's an update in the works to inject additional life into an expansion that is meant to entertain a content-hungry community for a year... at least.